TJ Kennedy brings a combination of experience as a first responder and strategic vision to his perspective on emergency response. Kennedy spent over 11 years in various public safety roles including state trooper, firefighter, and flight paramedic – in addition to the public safety leadership roles related to the 2002 Winter Olympic Games. He subsequently led the First Responder Network Authority (FirstNet) to develop the US nationwide public safety broadband network, becoming the largest public-private partnership in US history in the process. Most recently he founded the Public Safety Network. With strategic experience and a legacy of breaking new ground in public safety, Kennedy has a deep understanding of how technology can address the challenges public safety professionals face. 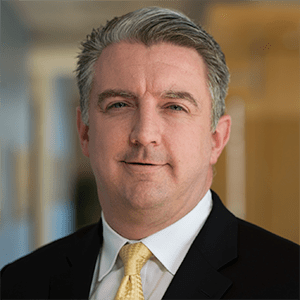 Kennedy joined RapidSOS’ advisory board in January, contributing his guidance to our mission to build transformative technology to save lives. He also frequently contributes his expertise by writing articles on LinkedIn. Let’s see what Kennedy has to say about 9-1-1 technology, designing products for public safety, and the Internet of Life Saving Things. You’ve written before about the importance of technology for public safety organizations and first responders. Where are a few areas technology could help improve public safety today? What I think is most important is getting data from citizens in the field to both dispatchers and first responders. That means both speeding up the transmission of data and improving its richness. From the perspective of quality emergency information, it’s critically important to get that information directly to those who need it, which are the Public Safety Answering Point (PSAP) dispatchers and first responders in the field. What are the challenges or barriers to public safety organizations obtaining new technology? 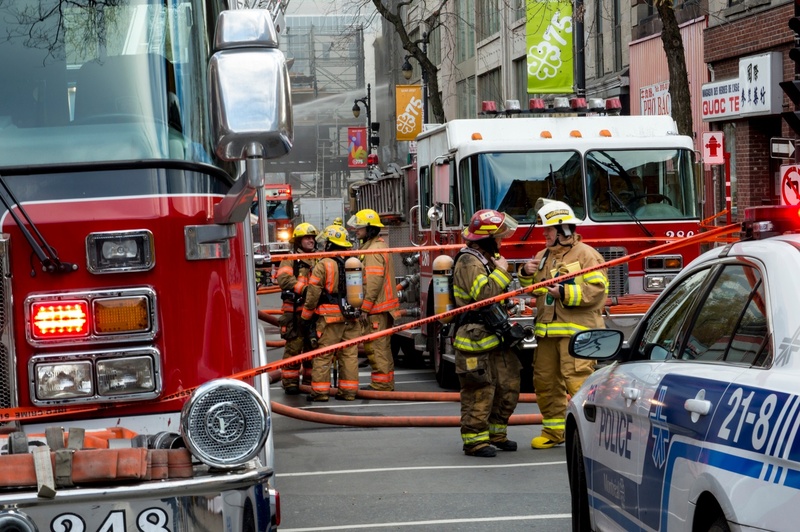 How can technology providers help public safety organizations overcome these challenges? The first thing is we need to admit to ourselves that having a smartphone and related modern technology in the hands of all first responders is a priority. Going back to my first career in public safety, we were used to only ranking officers having those devices. In 2018, almost all teenagers have smartphones and access to multiple devices. We need to ensure that law enforcement officers, firefighters and EMS personnel have access to a smart device as well as the right technology installed in all of their vehicles. Once they have those capabilities, and the ability to access a prioritized and preemptive network like FirstNet, they need applications that are tested, trusted, and built on open standards to be available to them. It’s important to keep the focus on making the roles of first responders in the field easier, safer, and more effective. If a technology does those things, it will be adopted by public safety in the field. In other words, first we have to give them the right equipment. Then we have to give them the right applications to use in the field. If we give them the right applications and technology, I predict they’ll be used in a much broader sense than innovators like me originally assumed. You led FirstNet to become the largest Public Private Partnership ever in the United States. What were some of the lessons or best practices you experienced for effective collaboration between the private and public sectors? One of the most important lessons is that when law enforcement, the fire service, and emergency medical services work together to solve an impossible task, they can accomplish anything. In the past, that was one of the missing links to make a FirstNet-type project successful. It’s a lesson for the US and other countries that we need to continue to work closely with law enforcement, fire, and EMS leaders and front line personnel to bring life saving technology to the field for first responders. Here’s another lesson: Align incentives for the private and public sector to work together. When you ensure the objectives of the public sector are crystal clear, the private sector can work to solve them and be incentivized to do so. What attracted you to the RapidSOS mission? What excited you about the company’s opportunity, technology, and approach? One of the most important things about the RapidSOS mission is the fact that it will result in faster and more effective responses in the field. With RapidSOS, you have data coming in faster – not just device and location data, but video and photo information about the emergency that will enable a better response in the field. I’ve watched the progression of emergency services in the last 25 years, and one of the things that hasn’t changed is how 9-1-1 receives information from the field. Now that FirstNet exists, I see this improving rapidly. The ability to send data, including photos and video, quickly to 9-1-1 and to first responders is extremely exciting to me. Access to the RapidSOS NG911 Clearinghouse through FirstNet’s app store will provide first responders across America with access to actionable data from millions of connected devices. This integration can improve collaboration and information sharing across public safety disciplines and jurisdictions, opening the door for better situational awareness from real-time data. RapidSOS has a public safety team with many members who previously served in public safety. Why is it important for companies providing technology for public safety to know their end users and to collaborate with the 9-1-1 community? It’s so critical. I’m a little biased in this with my background, but I think that for RapidSOS the value brought by having former firefighters, EMTs, 9-1-1 call takers, and 9-1-1 dispatchers is that we’re not having to engineer something and change it because there was not operational input. RapidSOS has spent years listening to PSAPs to ensure what has been developed will be useful for responders in the field. Experts with public safety experience in the field are involved in every stage of the process. I think that ensures the RapidSOS technology will meet the needs of public safety. You’ve used the phrase “The Internet of Life Saving Things.” What does the IoLST mean to you and how are the public and private sectors working to make this a reality? To me, the Internet of Life Saving Things is any piece of software or hardware that has the ability to save lives. This can even be common technology and IoT devices that are used in a lifesaving way. For example, in the future, personal assistant devices will have the ability to call for emergency help and ensure help arrives. Life saving applications for citizens and for first responders are all going to be a part of the Internet of Life Saving Things. In between is RapidSOS – the middleware that connects citizens to those emergency services. The Internet of Life Saving Things allows technology to really do something good in ways that many can’t even imagine today, and it will proliferate more this year. At RapidSOS, we’re honored to have the opportunity to work closely with the public safety community on a solution that solves challenges for call-takers, dispatchers, and first responders. Our team includes a mix of technology experts, former public safety practitioners, telecom executives, and public officials with a shared mission to help 9-1-1 and public safety professionals save lives with technology. Meet the team to learn more about how we’re working to accomplish this goal.